Onondaga County Legislature Chairman Dave Knapp welcomes Benedicte Doran to the OCWA Board. 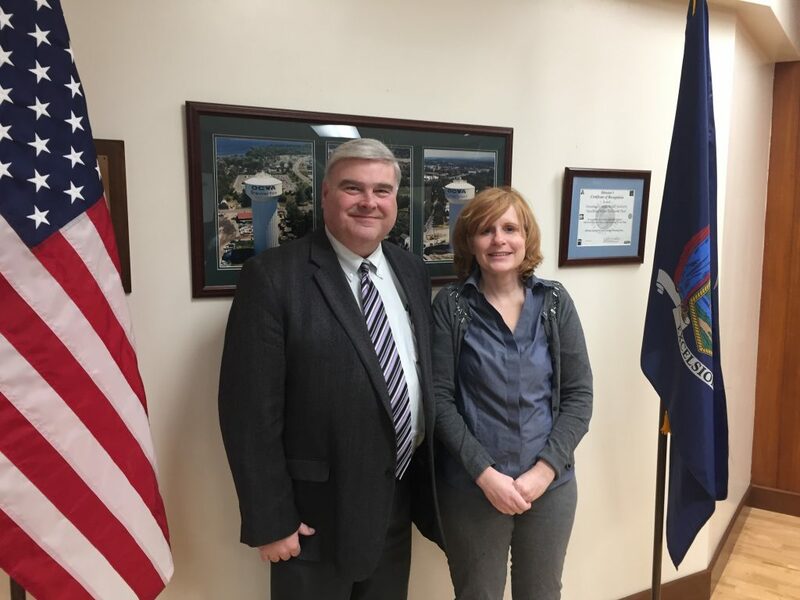 Ms. Benedicte Doran was recently welcomed to the five-member board of OCWA–Central New York’s Water Authority by Onondaga County Legislature Chairman David Knapp. Ms. Doran is currently employed as political director for U.S. Representative John Katko. She also serves on the Zoning Board of Appeals in the Town of Onondaga, where she is responsible for evaluating various requests for zoning variances and appeals. Ms. Doran is a career communications and marketing specialist, having served six years as the Communications Director for Senator John DeFrancisco and seven years prior to that as a marketing executive for several private companies. Ms. Doran received her Bachelor of Arts in English from the State University of New York, College at Oswego. She lives with her husband Matt and three sons in the Town of Onondaga. We welcome Benedicte to the OCWA family!